Arlo's integration with GoToWebinar allows you to run webinars and manage registrations and payments. The following process describes how to create new webinar where there is no existing event template in Arlo. Read how to schedule a webinar from an existing template. 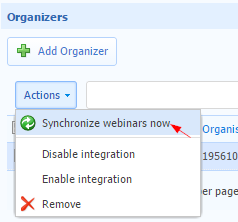 Your GoToWebinar integration settings should be set to Create a new template if we are unable to match a webinar with an existing template. Note: If there is a matching webinar in Arlo, the GoToWebinar event will be assigned to that template. If you want to keep your webinar events as separate templates, we recommend ensuring they have a different naming structure from your other events in Arlo, e.g. state that it is a webinar in the title when creating the event in GoToWebinar. Next to the email you wish to turn off, press Edit. As a new Arlo event template will have been created this process, you will now need to edit the settings of the webinar, e.g. price, registration method, communication settings, etc. Arlo will synchronise with GoToWebinar approximately every 30 minutes. Follow the process below to manually synchronise if you need to. In Arlo,From the main menu select Settings. 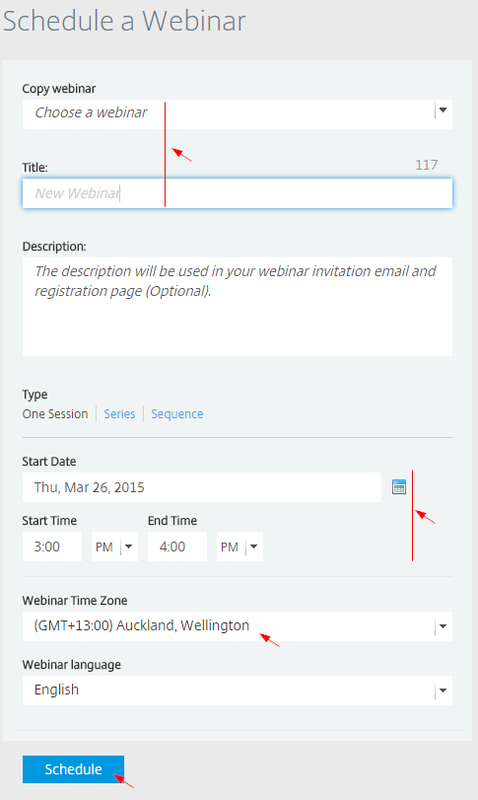 Note: Webinars without an existing template will use order process as the default registration method. From the Registration method dropdown, select Order Process if the event has a price, or Quick Registration if the event is free.